One of the great challenges Microsoft has faced with its “new” suite of Self Service BI tools (particularly Power Pivot) is that most people that could benefit from the holy trinity (Power Pivot, Power Query and Power BI) don’t even know these tools exist, let alone how the tools can help them succeed in their jobs. The situation is definitely getting better as Power BI starts to get a presence in the market place, however I still talk to people who have heard of Power BI, but have no idea what Power Pivot or Power Query are, and what’s more they don’t know why they should care. I personally believe a big part of the awareness problem is that Microsoft insists on shipping Microsoft Excel with the Power Pivot plugin disabled. There is no reference to Power Pivot when you excitedly receive your brand spanking new version of Excel 2016 – what a marketing opportunity gone begging! I have been an Excel nerd for 30 years. There is nothing I used to enjoy more than installing a new version of Excel, and clicking through every menu item to find something shiny and new that would make my life easier. By not turning on the Power Pivot menu by default, Microsoft is missing one of the best silent selling opportunities it has for this fabulous addition to Excel. Given there is no “pull through” on the menus, many people don’t know what these products are or why they should care. I am often asked by people “who can benefit from these tools?”. This post sets out to explain who can benefit and why. Note when I say “who can benefit”, I am not talking about “consumers of reports” here, I am talking about “authors of reports”. It is clear that people that consume quality reports and analysis will benefit, whatever the tool. This article is focused on the benefits to those people that are responsible for building the reports and analysis that others will end up consuming. Have problems sharing reports with others because the file size is too large. Need to share data with people on the go, that maybe only have a Tablet or a Mobile phone. Have large data sets that can’t be managed in traditional Excel. Are spending too much time each week/month manually maintaining reports with new source data and/or new visualisation requests. Can’t get the (timely) support they need from their IT department using traditional Enterprise BI tools. Transformation of that data into a new shape that is optimum for BI reporting and analytics (Power Query again). Data modelling capabilities, so you can turn the raw data into business meaningful insights (using the Power Pivot engine). A reporting and analytics front end allowing you to build reports to visualise your data (Power BI Desktop and Power BI Service). A fully integrated cloud based delivery framework so you can easily share with anyone over the internet (Power BI Service). A full set of Mobile applications across the major operating systems (Power BI Mobile). Notice how steps 1 and 2 use Power Query, and step 3 uses Power Pivot. So if you want to learn about Power BI, you really need to learn about Power Pivot and Power Query too. Conversely, Power Pivot is the hardest to understand – I.e. it is the hardest for individuals (potential authors) to understand “what does Power Pivot do for me and why do I need it?”. I have had people enquire about Power BI training courses that have not been interested in Power Pivot or DAX*. But the truth is, if you want be able to write your own reports in Power BI, you really need to learn at least some basic Power Pivot skills. Power Pivot is a data modelling tool. It is the underlying reporting engine that enables Power BI and Modern Excel to delivery those modern funky reports that can help you succeed in business. The Power Pivot engine allows you (the report author) to take your business knowledge and to configure the reporting tools so that Power BI and Excel Pivot tables can be used to find and report on insights in your data. Most business users have never heard of the term “Data Modelling” before, and the reason for this is quite simple – it has always been the IT department that has been responsible for data modelling. Power Pivot brings the power of data modelling and puts it in the hands of competent business/Excel users. An example of data modelling will make it easier to understand. Consider a scenario where you download sales data from your company transaction system and it looks something like this in a spreadsheet. You can see the sell price and the cost price information exists in the table above. But there is nothing about the $ Margin per product and nothing about the % Margin, let alone insights like Sales Year to Date, Top 3 selling products, Fastest growing product etc. In a traditional Excel world you would simply write formulas in your spreadsheet(s) to enhance this raw data and extract the additional insights. The trouble with this approach is that all these formulas are only ever “one off”. You write them for this report, and then when you create another report later, you have to write the formulas again. Power Pivot handles this problem in a different way. Power Pivot is a data modelling tool, and instead of writing formulas in your final reports, you write them “under the hood directly in the Power Pivot engine” as part of the data model. You build the “rules” that describe how to calculate $ Margin and % Margin ONCE and only once directly in the Power Pivot engine. Once you have created the rules for each insight (e.g. $ Margin, % Margin etc), it is forever available for you (and others) to use over and over again in any report, chart, Pivot Table or any other visualisation you can think of. Never again to you have to write/copy a new formula every time you create a new report. Data Analysis Expressions (DAX) is the formula language of Power Pivot. DAX is very similar to the Excel formula language yet there are also a lot of differences that you will have to learn from scratch. Simply put, if you want to learn Power Pivot (and/or Power BI), you will need to learn at least some DAX as well as lots of other things about how the Power Pivot engine works. Who needs Power Pivot and why? There are lots of data that stretch the capacity of traditional Excel (file size, re-calculation speed etc). If you use Pivot Tables a lot to analyse your data. If you are writing a lot of VLOOKUP (or INDEX/MATCH) formulas to join data from different tables so you can analyse in a Pivot Table. If you have had to create bespoke reports in traditional Excel, but then have to spend hours rebuilding the report when asked for a different view of the data (e.g. you have a report that shows sales by half year, and then you are asked to produce the same report by month – and have to start again almost from scratch). Anyone that wants to start using Power BI for anything more than the most simple aggregation reports. The “out of the box” capabilities of data modelling in Power BI are limited, and you will quickly realise that you need to learn some new skills (Power Pivot/DAX) to be able to leverage the strengths of Power BI. Extract: Connect directly to the data source and ingest the data (into Power BI or Excel) so you can work with it. It retains a connection to the source so when the source data is updated you can automatically “refresh” the data without having to go through the import process again from scratch. It is amazing. Transform: You can clean and reshape the data so that by the time you are ready to use it, it already is in the format you need instead of the format you are given. Again, you do this only once, and then you can automatically refresh when the data is updated later. Load the data directly to the place where you want to use it. The end location for the data will typically be inside Power Pivot or Power BI, but it is also an invaluable tool for use with traditional Excel. Don’t think of Power Query as simply a tool for self service BI reporting. I have used Power Query to automatically audit information (eg XLSX files, csv extracts from other systems etc) and produce exception reports directly in Excel. Once you understand what Power Query can do, you will start to realise all the ways you could use it to make your life easier. Who needs Power Query and why? People that need this tool typically are trying to solve the following problems. They regularly receive file extracts from someone (or some system) and need to manually manipulate this data before they can use it. They want to use Power BI/Power Pivot but can’t get the IT department to shape the data they need prior to loading it into Power BI/Power Pivot. People that are doing repetitive tasks such as matching invoices on a remittance advice against a bank statement (or similar) – Power Query eats this kind of work. Anyone that is given data in the wrong shape (example below). And yes I quickly used Power Query to un-pivot the data in the blue table so it looked like the green table. It is worth getting and using Power Query just to get this un-pivot feature alone! Hopefully this overview has helped demystify how Power Pivot, Power Query and Power BI can help you in your job. If you would like to learn more about Power Pivot, you can read my book “Learn to Write DAX“. If you want to learn more about Power Query, I recommend Ken and Miguel’s book “M is for Data Monkey“. 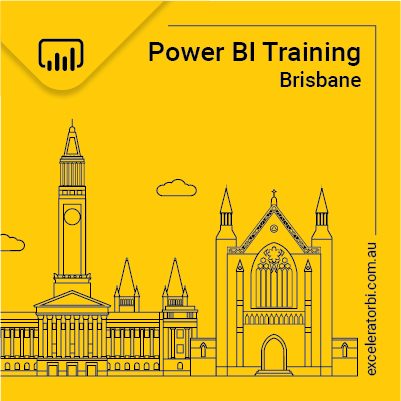 If you live in Australia, you can attend one of my live training courses where I cover what you need to know about Power Pivot, Power Query and Power BI. To confuse matters more, Power Query is called ‘Get and Transform’ in Excel 2016. Microsoft should really learn to stick with consistent names for their excellent products. How does the ‘Power BI Desktop’ solution fit into the mix? It seems to have more functionality than ‘Power BI’ but I get confused on when to use which product. I suspect other people have the same problem. Matt: Excellent article. I’ve been trying to convince accounting folks that there’s a better way to do account reconciliations that have massive data, lots of VLOOKUPs, etc., but it’s been hard to explain. You’ve hit on all the points that’ll convince them. Now I’m going to forward this article to them – what a great introduction! Thanks. Good luck. Post back how you go. A great article Matt, clear overview of benefits for the unwashed! Thanks. I’m one of those that recently discovered Power BI and because I needed to learn DAX, went to Matt’s course and found out about Power Pivot. Before then, I knew of its (Power Pivot) existence but, not what you use it for. As someone new to this field I’m finding the relationship between the Power products is indistinct and lacks direction. I can see in time that a clearer pathway will exist but, which direction it takes will be interesting. IMHO, Power Query is the centering product for Power Pivot and Power BI but, excel’s version is slightly different to Power BI’s… why? in time, wouldn’t it make sense to be able to create a query that could be used by both Power Pivot or Power BI. IMHO, Power BI lacks a Pivot Table visualistion while Power Pivot lacks Power BI’s visuals and linkage capabilities. To me, the pathway would be to merge the strengths of Power Pivot and Power BI such that each has the same capabilities but, Power BI is oriented to Cloud based communication of finalised reports while Power Pivot adapts and takes over the role currently fulfilled by Power BI desktop but, with more analysis/data discovery capabilities (inherent in Excel) with ability to publish to cloud or transfer internally within an organisation. Just some random thoughts. What do you think? I like Steve am finding it difficult uncovering the best of breed integrated environment, the self-service BI nirvana, Power cubed, that many speak of. I’ve spent considerable time with PQ and find it to be so lacking as to discount it or better yet, put it in its place as immature and not ready for prime time. In its current state, this is not the (BI) ETL tool for the masses. But it will be because it’s hyped and free with Excel (almost :)). Albeit, functionally rich, it lacks the necessary development features and tools. Yes! You are a developer if you use this product; call yourself what you like. If you participate in the Technet blogs, you’ll quickly realize the division of users with vastly different technical acumen. The class system remains and is strong as ever with this product. This marketing drench is exhausting and too time consuming. I’d like to see the bloggers moving their forums to developing and sharing efficient and production ready best practices and techniques, not simply solutions (of which there are usually many with this language). Think PQ Studio! @Nin, I don’t think Power Query was designed for people that frequent Technet forums. It is a self service BI ETL tool for Excel users. I think it is an excellent product and it meets most (if not all) the needs of self service (ie non-technical) users already. If you want production ready development tools, then what is wrong with SSIS?